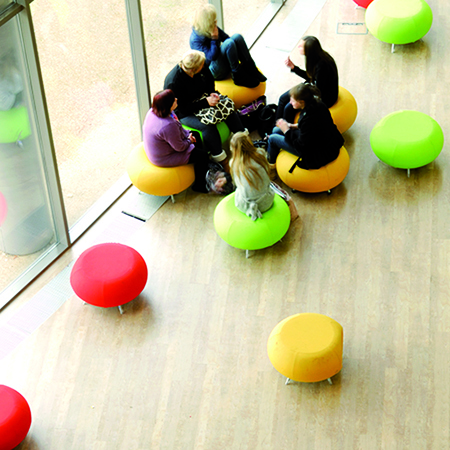 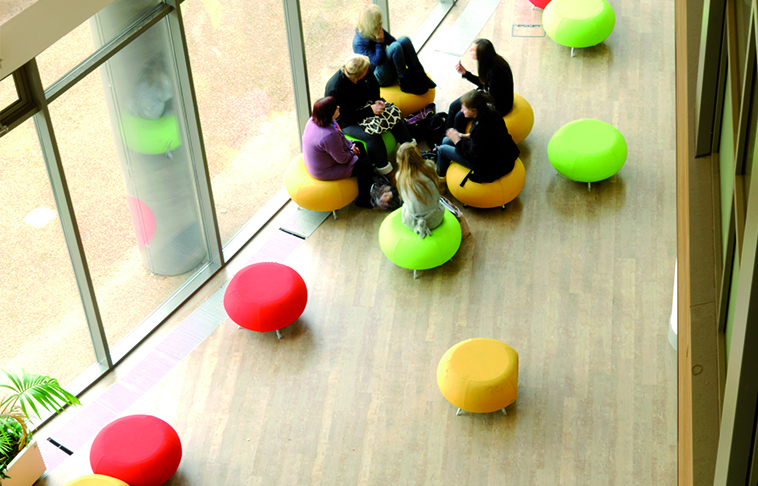 North Hertfordshire College has replaced their worn out carpet with the modern, durable Amtico access range. 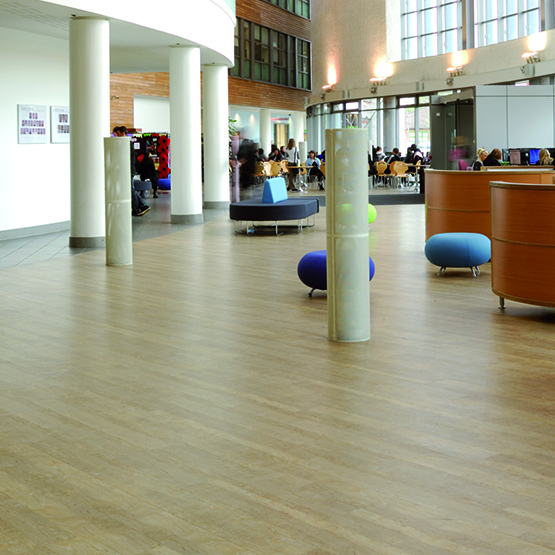 Amtico provided their flooring for 700sq metre throughout the atrium which features a canteen, recreation area, and learning centre. 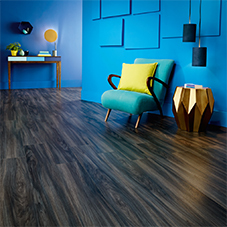 The Access is a range of loose lay luxury vinyl tiling designed perfectly to complement their extensive range of carpet and other LVT collections. 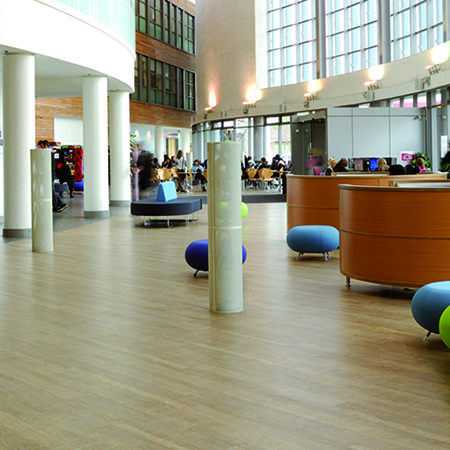 North Hertfordshire Colleges’ suspended flooring required a range that could withstand the high footfall of students and would be easy to maintain. 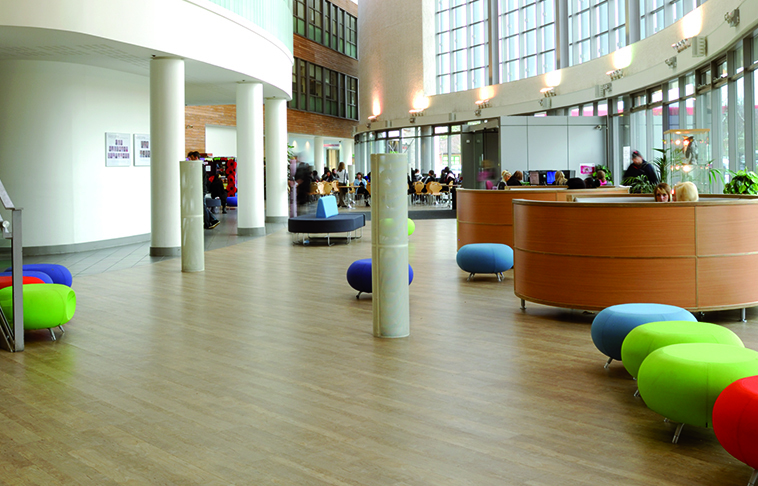 Head of Estates at North Hertfordshire College, Brian Sapsed said: “The contemporary finish enhances the professional image of the college, we are very pleased with the wood effect flooring. 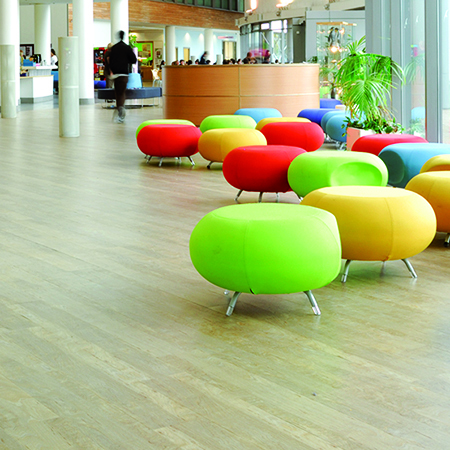 The Bleached Elm creates a modern airy look that is more conductive to learning."